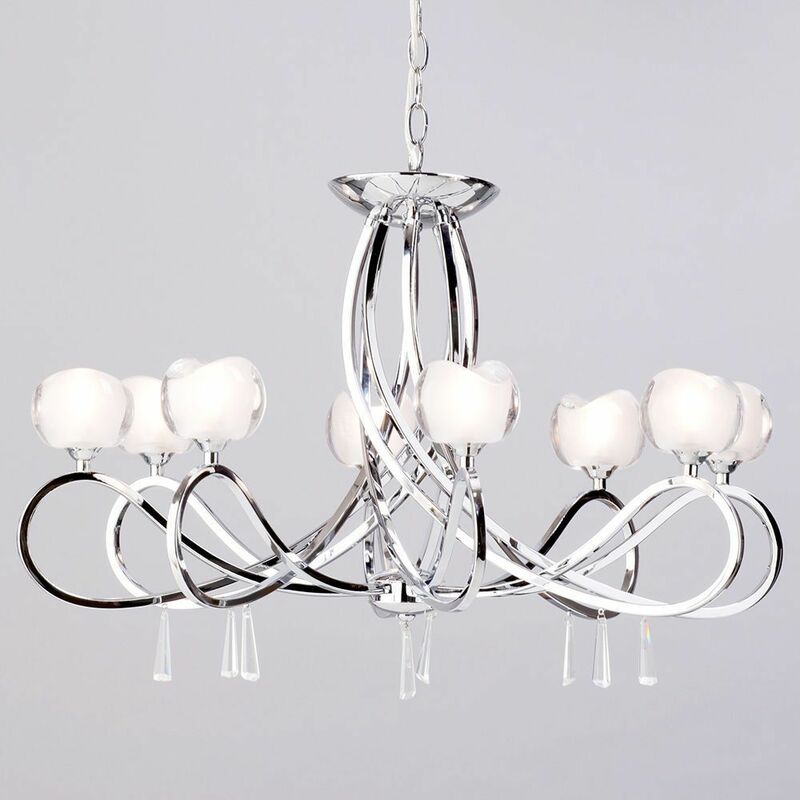 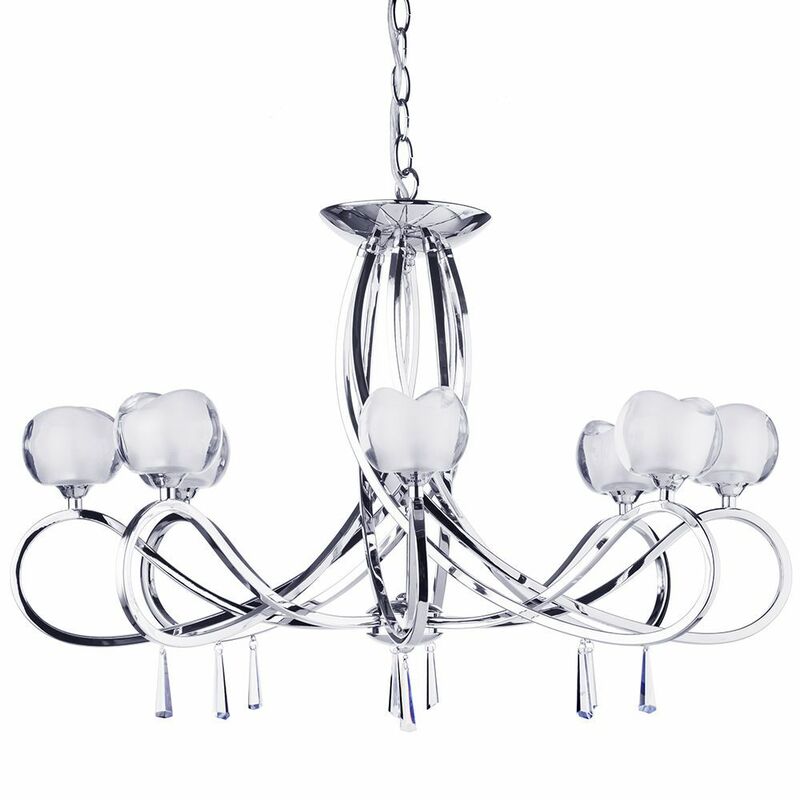 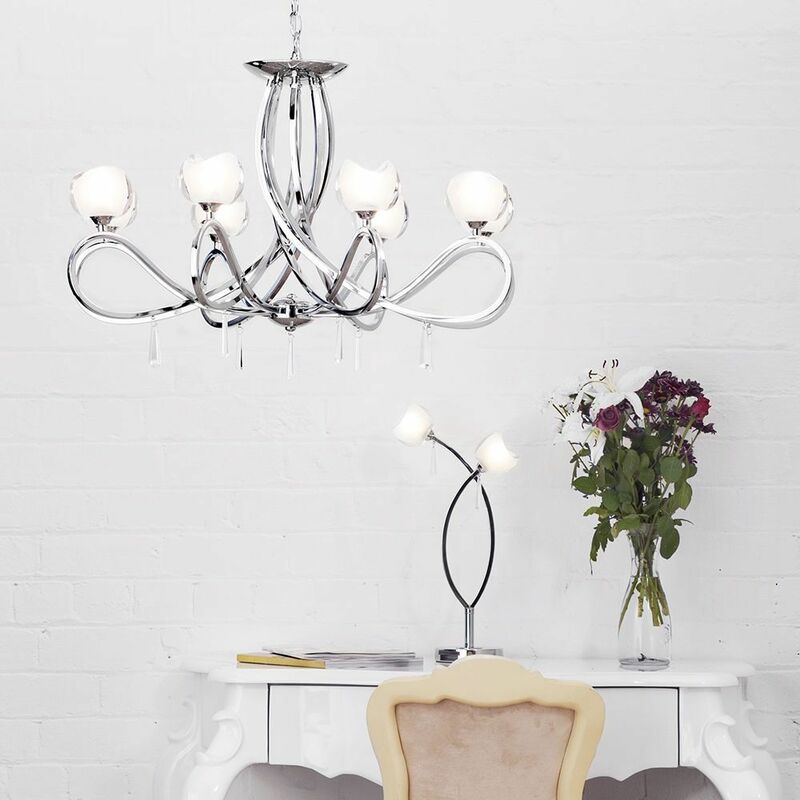 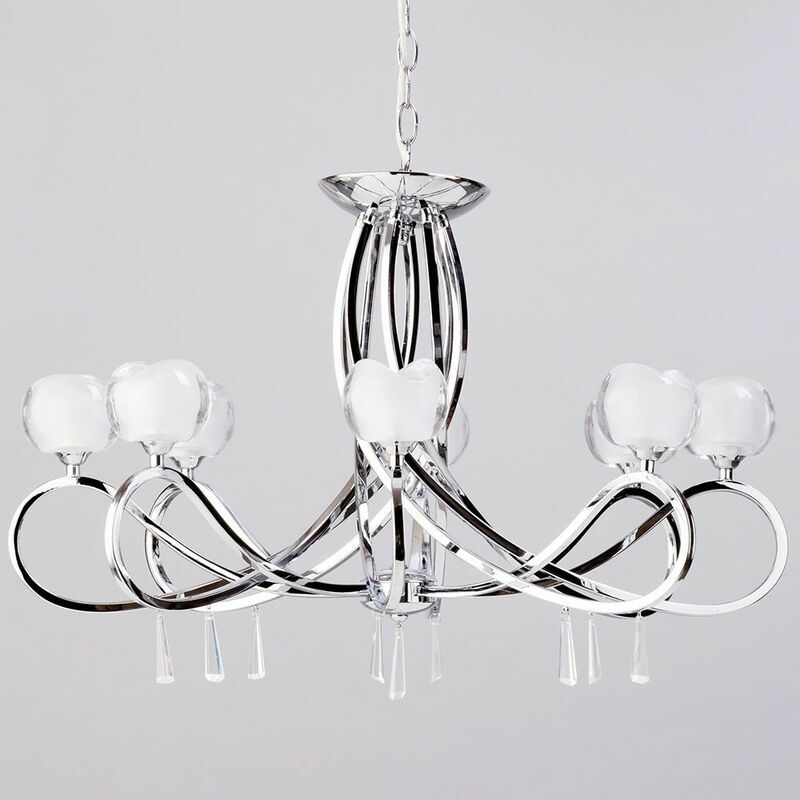 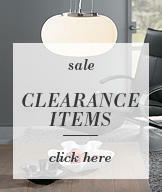 The Marta 8 light ceiling light will add wow factor to any living room, dining room or bedroom. 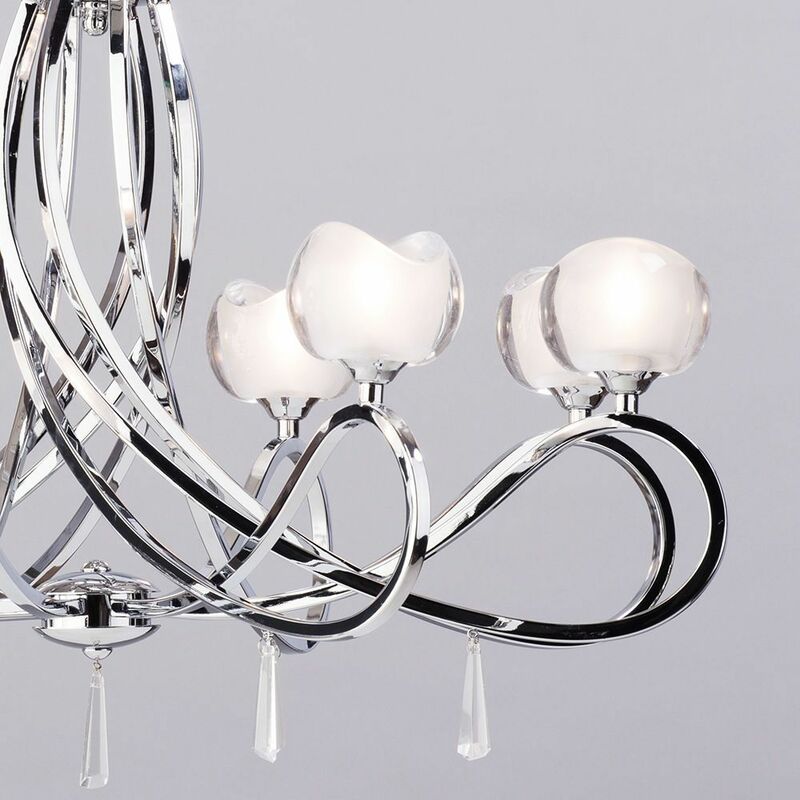 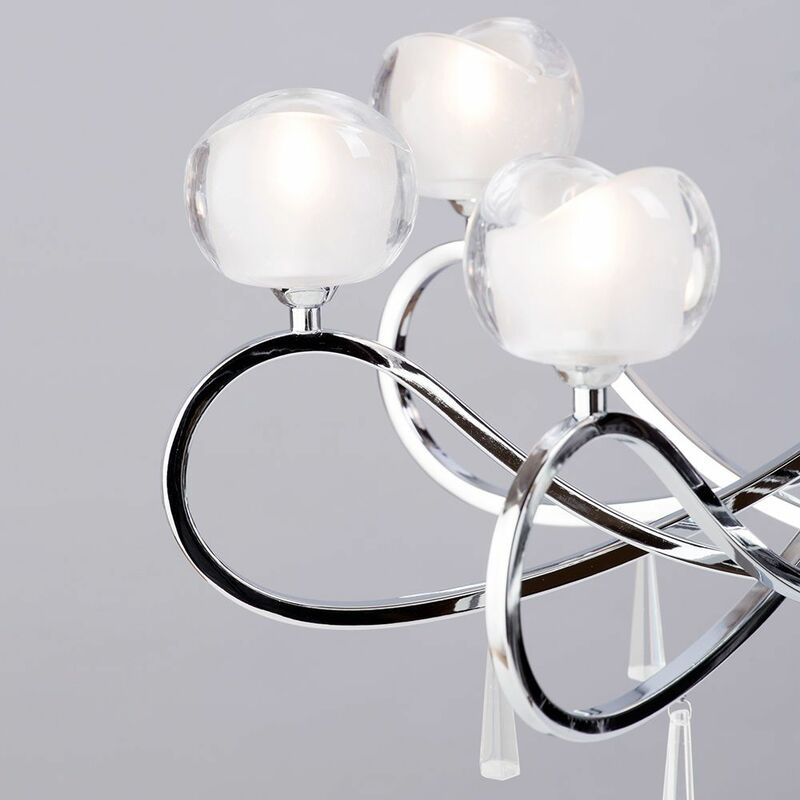 This stunning light fitting features a beautiful scrolled frame crafted from polished chrome with shaped opal glass shades. 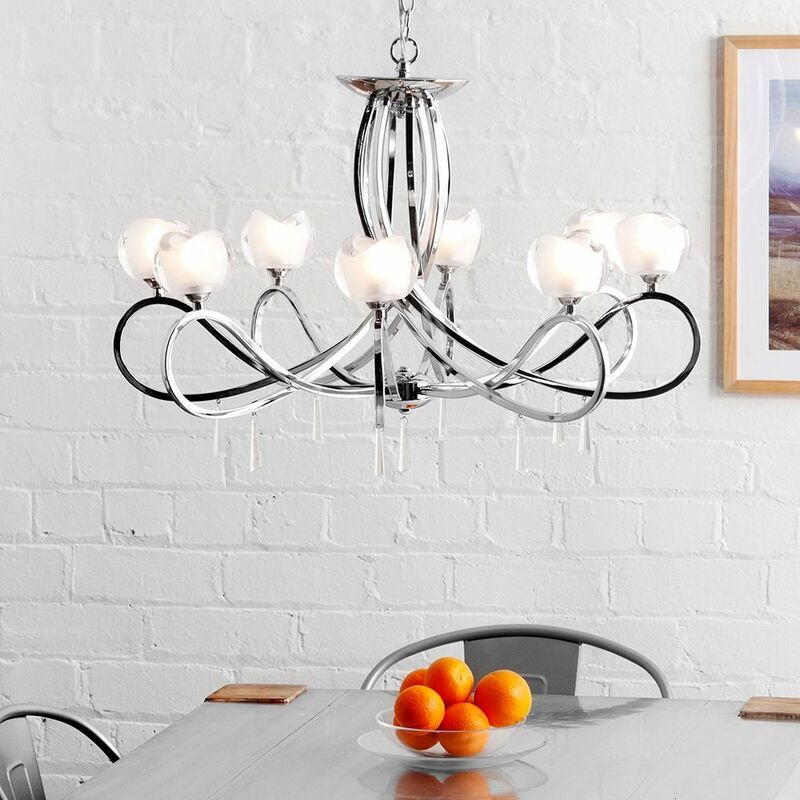 Crystal effect hanging pendants complete the look.